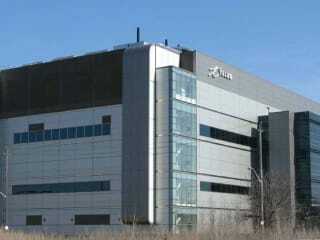 Flexential DC2 Atlanta Data Center is located at 12655 Edison Dr, Alpharetta, GA 30022, USA. The gross building size for this location has not been provided. There is a total of 10000 sqft in raised floor space for colocation. No power information has been offered for this location. We found 51 data center locations within 50 miles of this facility. Certifications for this location include HIPAA, HITECH, PCI-DSS, SSAE-16 Type 1, SOC 2 Type 2, ISO 27001, SOC 3. Peak 10 + ViaWest’s data centers in Atlanta were established in 2007. We offer over 105,000 square feet of current capacity, including 40,000 square feet of planned expansion space in the Atlanta metro area. These facilities are engineered to support whatever power densities you may require, and successfully serve hundreds of customers in the local market and surrounding area. Atlanta is a critical component of Peak 10 + ViaWest’s ability to deliver hybrid IT infrastructure, colocation, interconnection, cloud and managed IT solutions to enterprises around the globe. With an operational footprint of more than 2.7 million square feet, Peak 10 + ViaWest connects multiple data centers to an ecosystem of solutions, enabling customers to connect on a global basis.